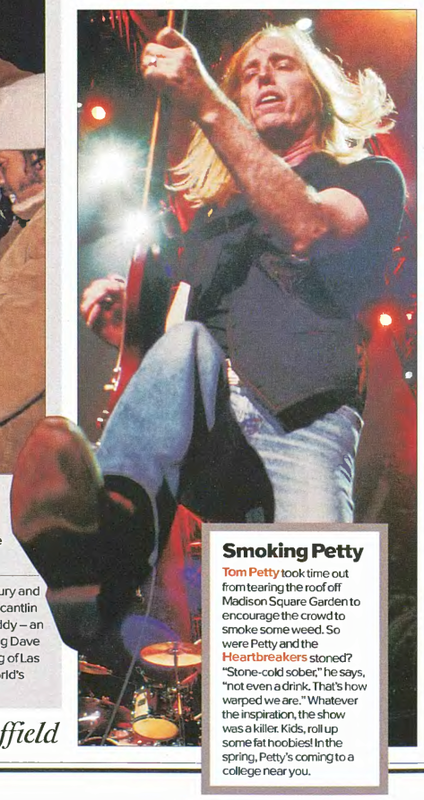 Tom Petty took time out from tearing the roof off Madison Square Garden to encourage the crowd to smoke some weed. So were Petty and the Heartbreakers stoned? "Stone-cold sober," he says, "not even a drink. That's how warped we are." Whatever the inspiration, the show was a killer. Kids, roll up some fat hoobies! In the spring, Petty's coming to a college year you.